“No truth can cure the sorrow you feel from losing a loved one.” Sad but true! The novel is based upon young people who have to deal with vicissitudes of life. The author narrates the story of dilemma of youngsters in this novel, who fail to make a seamless transition to adulthood, ultimately life takes its toll and they resort to ending their lives. The story revolves around three main protagonists, Toru Watanabe, Naoko and Midori. Toru Watanabe was the central character and flipping through the pages of the novel, you come across his emotional tale of growing up, his learning to accept responsibility for his actions and his ability to deal with loss and rejection. He lost his friend Kizuki, who committed suicide in high school. Watanbe, later on, goes to Tokyo to pursue his studies. There he meets Naoko. Naoko is sensitive and vulnerable and definitely influenced by the people around her. She has lost both a sister and her boyfriend Kizuki to the harshness of the world, who took their lives and committed suicide. Subsequently, Naoko finds solace in Watanbe and eventually develops a romantic relationship with him. However, she knows she has psychological problems because of the heartaches she got in her life and therefore, she decides that she could not carry a normal relationship with Watanbe. She knows she needs treatment and therefore, goes to a sanatorium located on some mountainous region, away from the worldly chaos, to some place quaint and serene. With Naoko gone, Watanbe is disheartened. He begins dating other women but every relation he has, is no more than a fling. ‘Heart is where love is’ and this is the reason Watanbe can’t resist staying away from his love. He sets out on a voyage to meet his love. Watanbe reaches the mountain sanatorium, where he meets Naoko and there enters another character, an older woman, Reiko. She’s the one who gives the kernels of wisdom that Watanbe gets to keep throughout his emotional journey. One of her golden sayings, “Death is not the opposite of life but an innate part of life,” gives a new vision to Watanbe after Naoko’s demise. Watanbe spends a few days there and these days are the best of his life. He’s reunited with his love and after going back to his college in Tokyo, an exchange of letters is initiated between the lovers. Naoko’s letters to Watanbe depict a sudden enthusiasm of youth, followed by capricious silences and sometimes, philosophical musings. While Watanbe and Naoko share a beautiful bond, complication arises when Midori steps in. Midori is the opposite of Naoko; she’s outspoken and optimistic. She’s audacious and expresses her fondness for Watanabe. Delving into Midori’s life, one finds that she has her own struggles. However, she’s not a pessimist and therefore refuses an easy way out to her struggles. The story’s set in Japan in the late 1960s, which were the most politically chaotic period in Japan. Like in the United States and Europe, Japan witnesses its share of sexual revolution, radical socialist movements and anti-Vietnam War protests, etc. 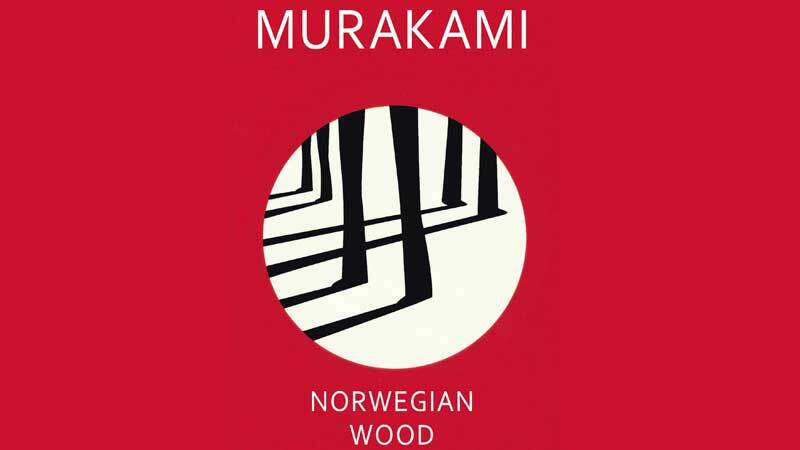 The title of the novel was inspired by The Beatles song “Norwegian Wood”. Haruki Murakami’s obsession with western classics and music is reflected in the countless references to Beatles numbers like “Yesterday”, “Michelle”, “Something”, Bach, Mozart, Scarlatti and literary works of Joseph Conrad, F Scott Fitzgerald, Thomas Mann, Karl Marx and so on in this novel. Going through the novel’s structure, it seems like one is reading someone’s personal journal. There are some moments of touching sadness, but that is the entire book is really, just moments of sadness strung together. People who are fans of Murakami believe that this is not his best work and even the author, himself, was stunned to see the response of this novel, especially when it was translated in English. One thing is for sure. Murakami’s writing is subtle and beautiful and once you start reading him, you cannot put the book down. His words are like a symphony, when weaved together as one, creating a beautiful melody that is difficult to overlook. Published in Daily Times, February 27th 2019.